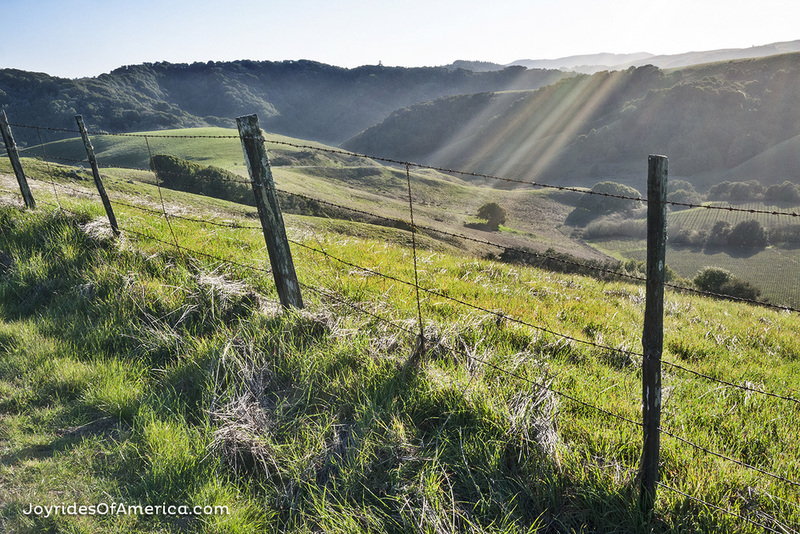 A guide to Marin and Sonoma counties. Sometimes it's the oysters from Tomales Bay that beckons me this way, often times it's just the road itself. With gentle curves that dip through farmsteads then climb to ridge top vistas, this 18-mile back road is a happy-inducing ride through rolling hills and wide open views. Head out Chileno Valley Rd. from Petaluma and take note as you'll soon pass Helen Putnam Regional park, a Sonoma County park with almost six miles of dog-friendly trails that could come in handy, if it weren't for the $7 parking fee. After this, it's country-driving — a long stretch of perfectly-smooth pavement rolling up and down through low pastureland. Eventually the road crosses from Sonoma county into Marin County and a mile later starts to climb to the first vista overlooking the eastern hills. Slow down or pull over and stop here. It's beautiful, and even better on your return from the other direction. ...and then...the hills of Inverness come into view as you climb the last gentle hill. 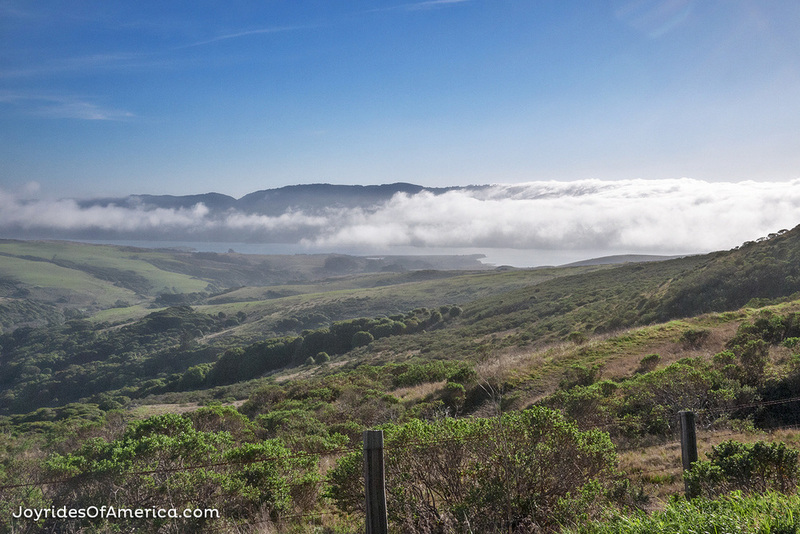 Soon Tomales Bay reveals itself. Stop up here and hang out a while. It's just so gorgeous. When you've breathed deeply and taken it all in, continue down to coastal Route 1, where a left turn will bring you to Hog Island Oyster, a favorite oyster farm in Tomales Bay. 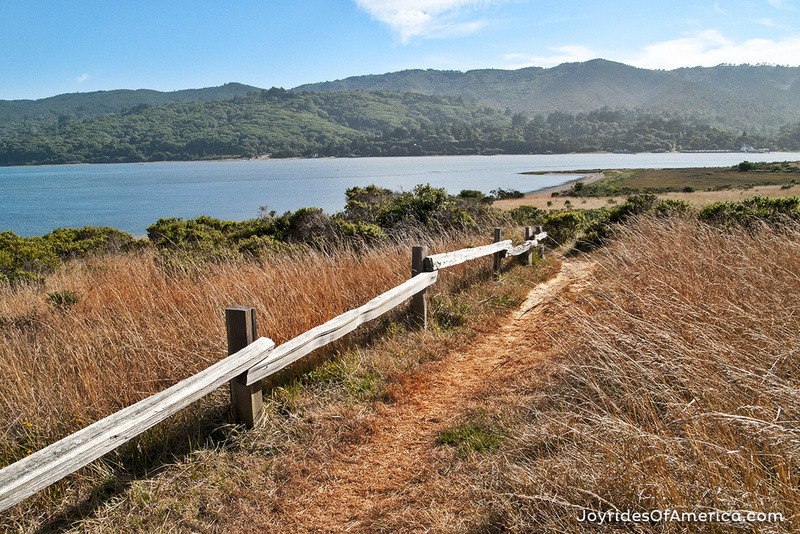 If your best dog pal is with you, drive 4.5 beautiful waterfront miles south along Tomales Bay to Millerton Point, where you can walk on the beach or on the headland. Watch carefully for the entrance and maybe keep an eye on your GPS map for the turn. There's no visible sign (just a gate) and it's on a turn with trees, so it's easy to miss. Bring a jacket! There's almost always a chill in the wind and it's frequently foggy. Backtrack the same way you came and enjoy the tremendous views of Marshall-Petaluma Road going the other way. In Petaluma, stop in at Ray's Deli for a great selection of craft beer and wine and delicious house-made sandwiches while tapping your foot to some good local music and good local bar banter.